Anyone who&apos;s gone through addiction, or cared for a loved one with addiction, knows firsthand the devastating effects it has on a person&apos;s life. Addiction disrupts all areas of your life, and sleep is no exception. According to one estimate, individuals with addiction are 5 to 10 times more likely to have comorbid sleep disorders. Sleep and addiction are intricately linked. Many people use alcohol or other drugs to help them fall asleep and treat their insomnia, and accidentally become addicted as a result. 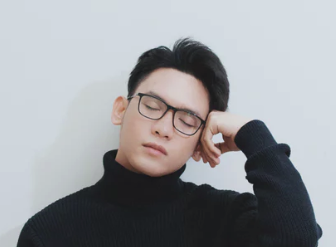 Even if one didn&apos;t have sleep problems before their addiction, long-term substance abuse physically changes your brain&apos;s sleep architecture, disrupting your sleep patterns and sleep quality. Then, just as they come to rely on the addiction substance to function during the day, they also can&apos;t sleep without it. Things only get worse in recovery, with sleep problems being one of the longest-lasting symptoms of detox. Fortunately, there is some hope: addiction, and many of the sleep problems along with it, is treatable. The better you sleep, the lower your risk of relapse. Master your sleep, and it&apos;s much easier to stick to your recovery plan. We mentioned in our introduction that certain addictions actually alter one&apos;s sleep architecture. Below we review how different addictions — drug, alcohol, and behavioral — negatively affect sleep. As a depressant, alcohol does help you fall asleep, but alcohol-induced sleep isn&apos;t restful sleep. Alcoholism or not, people who sleep after a night of drinking increase their risk of nightmares, bedwetting, night sweats, snoring and sleep apnea. Much of alcohol&apos;s disruption to sleep has to do with how it affects your core body temperature. Your body temperature is just one of the many mechanisms involved in regulating whether you&apos;re asleep or not. In the evening your body temperature begins to drop, making you feel drowsy as your brain releases melatonin. In the morning, your body temperature begins to rise again, waking you up for the day. 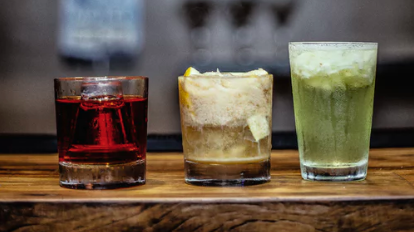 Alcohol drops your body temperature, which is why it helps you fall asleep, but as the alcohol wears off, your body responds by increasing your temperature, which leads to night sweats and early waking. Alcoholics also spend less time in REM sleep, the stage of sleep where we dream, process learnings from the day and commit them to memory. Scientists have linked daytime cognitive performance with sufficient REM sleep. Without it, our creativity and mental performance suffer. Alcoholics also experience alpha and delta brain waves together — rather than separately, leading to disrupted sleep. Insomnia and sleep deprivation are present throughout alcoholism and recovery. Like alcohol, marijuana is another substance people often use as a sleep aid. It doesn&apos;t cause early waking like alcohol, but it still interrupts with sleep, decreasing the user&apos;s amount of REM sleep. The effect on REM sleep is so strong that marijuana users who quit are prone to vivid, odd dreams for months afterwards. Stimulants like cocaine, amphetamines, and MDMA are all energizing drugs, so it&apos;s easy to imagine how they interfere with sleep. Users of these drugs become addicted to the energizing high they create by flooding their brain with dopamine. During their high, they&apos;ll experience insomnia, so energized that it&apos;s tough to fall asleep, followed by periods of hypersomnia during withdrawal. MDMA has a special effect on the brain and sleep architecture because it gradually eats away at the brain&apos;s serotonin levels. Since serotonin is part of the melatonin production process, ecstasy users experience sleep deprivation symptoms sooner than users of other types of drugs, especially in regards to their cognitive performance and impulsivity. Unfortunately, when abused — or not used as directed — opioids create a similar euphoric effect to cocaine, due to the way they interact with your dopamine receptors. If a person continues to abuse opioids, the more reliant they become on them in order to deal with even lesser amounts of pain. This results in addiction. All these effects combine to cause sleep deprivation that affects opioid addicts mentally and physically during the day, worsening their memory and their tolerance for pain. Even without abuse, chronic as-prescribed use of opioids interferes with your sleep architecture to such an extent that it causes fatigue. Like most forms of addiction, opioid withdrawal is intense, but opioid addicts in particular are at increased risk for restless legs syndrome (RLS). 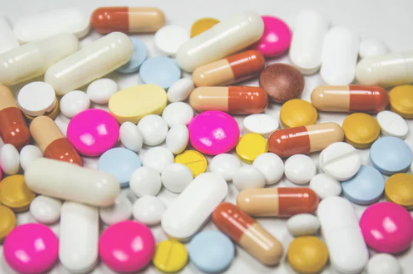 Like opioids, prescription sleep medications like Ambien, Sonata, and Lunesta are another common and legal form of medication people become addicted to. Because it&apos;s a legal drug, sleep medications seems safe, so people take liberties with their dosage without consulting their doctor first. They may increase their dosage or take it more often than prescribed, increasing their risk for addiction. The moment they have trouble falling asleep, people go straight back to sleep medication instead of trying other behavioral methods. This results in overuse and abuse of the medication that&apos;s especially dangerous and associated with a tripled mortality risk, cancer, and driving while asleep. Behavioral addictions like gambling and internet may not initially have the devastating physical effects of other drugs, but they do interfere with sleep and worsen one&apos;s emotional and mental health. When you consider the correlation of poor mental health with outcomes like suicide, the physical risk becomes clear. Addictive gamblers and internet users alike are at increased risk for anxiety and mood disorders that often cause, co-exist with, or contribute to insomnia. The worse their sleep, the worse they feel about their addiction — fueling a vicious cycle. 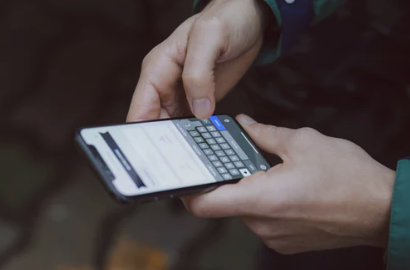 For example, studies of college-aged smartphone addicts show a direct relationship between high smartphone use and depression, anxiety, sleep problems, and associated daytime dysfunction. The sleep deprivation caused by behavioral addictions like internet addiction leads to depression and a significant increase in suicide attempts.